Alexander (Erland Josephson) the well to do patriarch of a Sweedish family is celebrating his birthday on a remote island when news of a new World War breaks. The previously relaxed and cheerful mood of the family morphs to terror. They immediately begin to spiral out of control, devastated by the catastrophic news. The film's masterful cinematography by Sven Nykvist (Ingmar Bergman's longtime collaborator) underscores the emotional state of the family through its color palette and movement. The arresting choice of color displays a bleak landscape around the families home. Painfully long shots evoke the sheer dread and anxiety that has engulfed this once carfree tribe. Alexander, philosophical in nature, is deeply worried about man's lack of spirituality. Faced with man kinds inevitable annihilation he is compelled to enter an agreement with God. 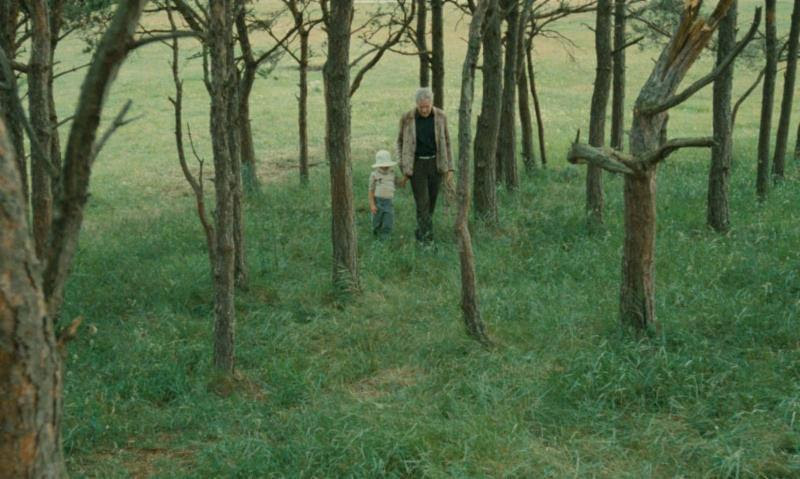 The director's last film, made as he was dying of cancer, The Sacrifice is Tarkovsky's personal statement, a profoundly moving, redemptive tragedy steeped in unforgettable imagery and heart-wrenching emotion. Kino Classics new 4K restoration of Andrei Tarkovsky's 1986 masterpiece gives the film the stunning treatment it deserves. 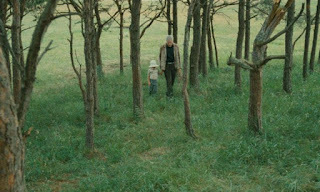 This haunting story of a family coming to terms with the looming threat of nuclear annihilation was the final film of acclaimed Russian filmmaker Andrei Tarkovsky. Highly acclaimed on its initial release, The Sacrifice won the Best Foreign Language Film Award at the 1988 BAFTA Awards, and won the FIPRESCI Prize, Grand Prize of the Jury, Prize of the Ecumenical Jury, and Best Artistic Contribution Awards at the 1986 Cannes Film Festival, where it was also nominated for the Palme d'Or. This new 4K restoration of The Sacrifice screened at the 2017 New York Film Festival and has played at select theatrical engagements in key national markets including Chicago, Portland, and Los Angeles. The Sacrifice is a strikingly salient exploration of what it means to face one's own demise and comes highly recommended. The two-disc special edition Blu-ray from Kino Classics can be purchased HERE. Essay by film scholar Robert Bird. Interview with Michal Leszczylowski, editor of The Sacrifice and director of Directed by Andrei Tarkovsky.